Well Christmas is almost upon us and 2013 is drawing to a close. This is the year that I said I would spend in Papua New Guinea and I’m finding it hard to believe that it is over already. 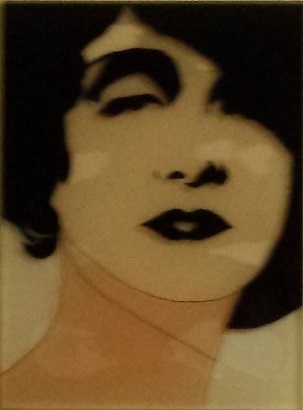 I have had a wonderful year and time flies when one is having fun. 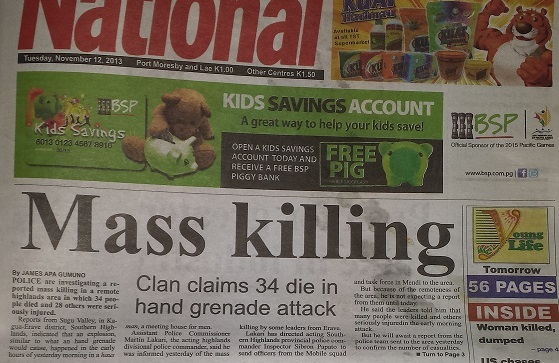 The ever-present danger in PNG was a theme throughout the year and it doesn’t appear to be ceasing any time soon. This newspaper article from last month tells of the murder of 34 people in inter-tribal conflicts in more remote parts of the country. The weapon of choice in this case was a hand grenade. This truly is the Wild West in many ways. But at this time of year, people put aside thoughts of such things and try to focus on the positives in life. 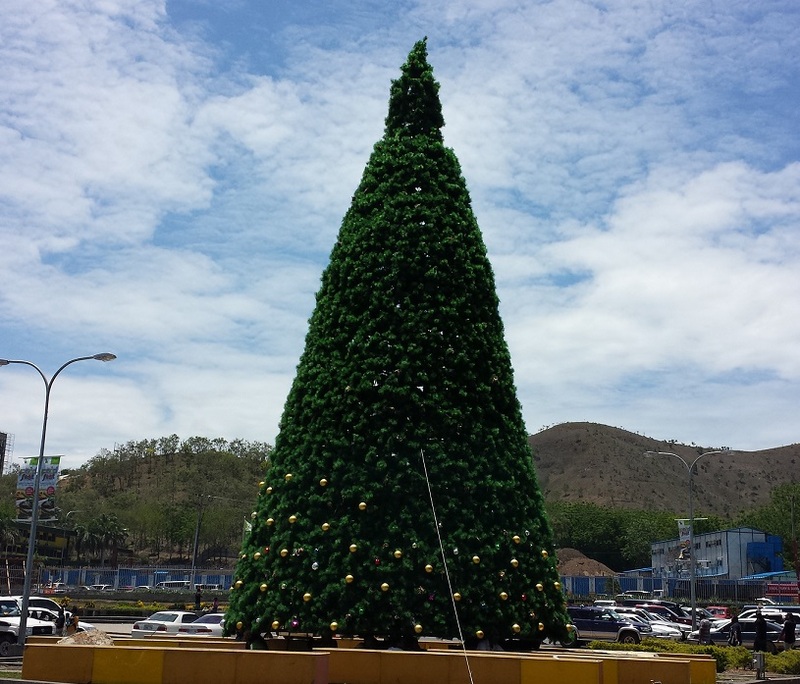 Signs of the Christmas spirit cropped up all over Port Moresby in late November. 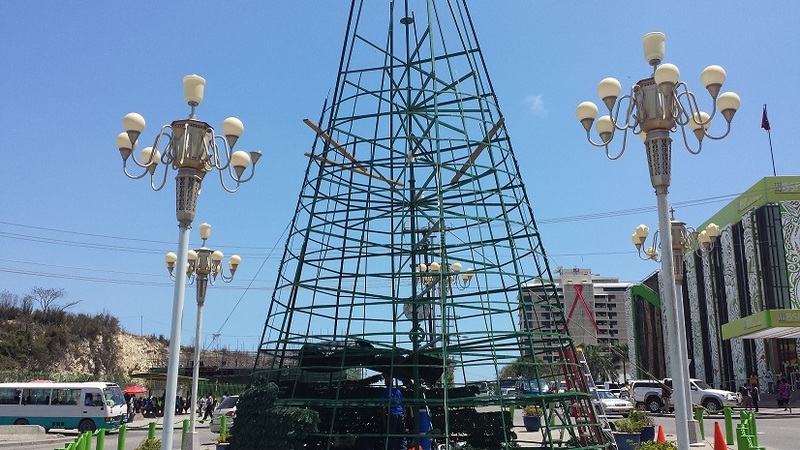 In the centre of town, a giant xmas tree was erected and carefully covered in plastic foliage. Another went up at the mall at Vision City. Here it is only half decorated. 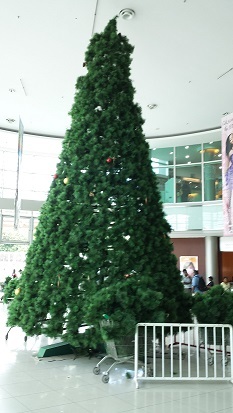 Inside the mall, another respectably-large tree sprung up overnight. And behind it, a toy shop erected a temporary castle full of trees. This display was worthy of any mall in North America. I was impressed. 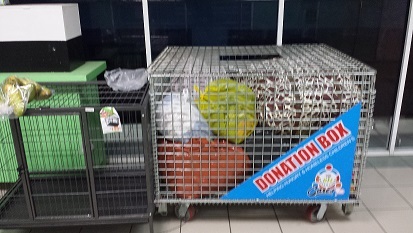 More impressive still was this donation box that I saw at RH Hypermarket in Gordons. When I see these donation boxes in developed countries, I think of places like PNG as being the destination for the goods that are deposited within. However, PNG now has its own version – presumably because there is a growing middle class that is now about to donate surplus clothing and such to the poor. The supermarket near my office got into the spirit with some balloon writing out the front. 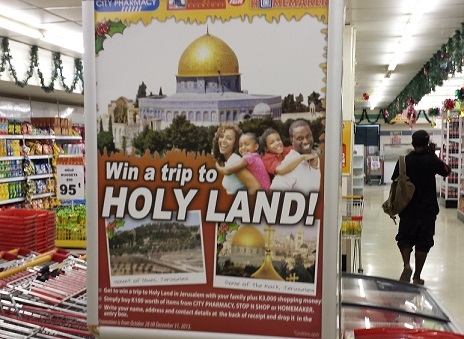 And inside they ran a promotion offering the chance to win tickets to visit “Holy Land” (no article). Pilgrimages to Israel are becoming fashionable for the newly rich. 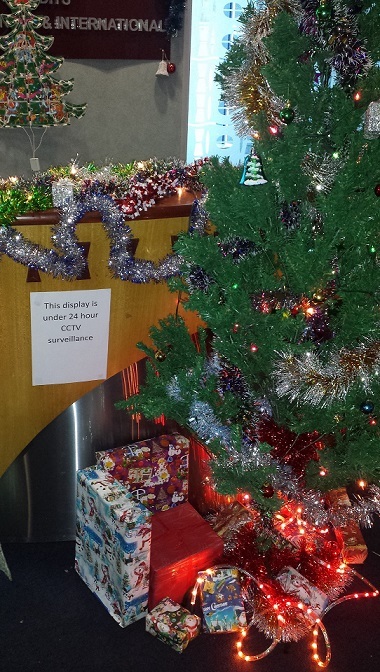 Some of the folks in the office erected this lovely silver tree, complete with presents beneath it. People are very enthusiastic about Christmas in this ostensibly “Christian” nation. 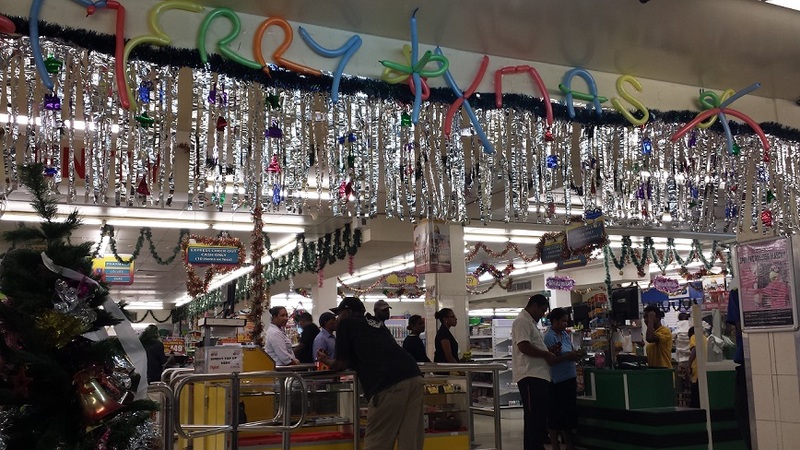 But my personal favourite PNG Christmas tree is this one. 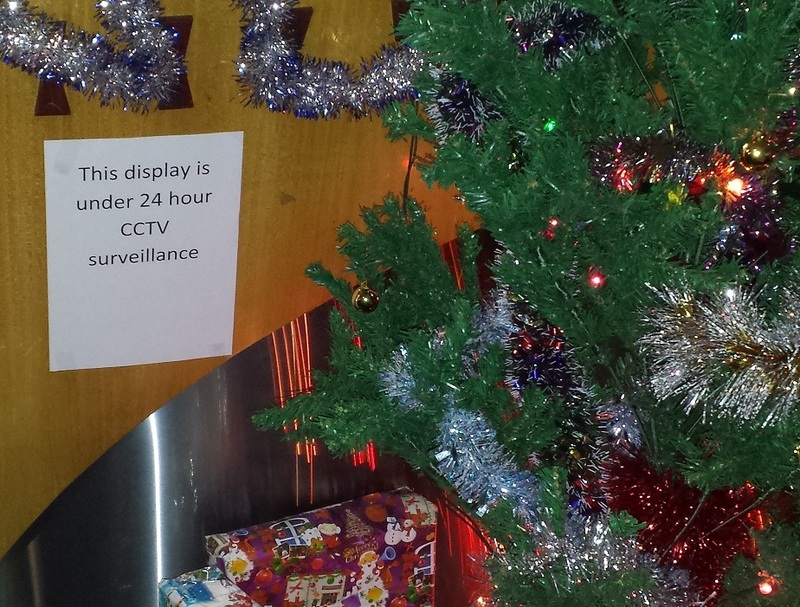 If one looks more closely at the notice, it reads “This display is under 24 hour CCTV surveillance”. Because nothing says, “I’m getting into the Christmas spirit” like stealing stuff from beneath the Christmas tree at work. Indeed I have heard that the week before Christmas is one of the worst for car jackings and household robberies – as some people desperately try to improve their family’s Christmas by taking things from others. 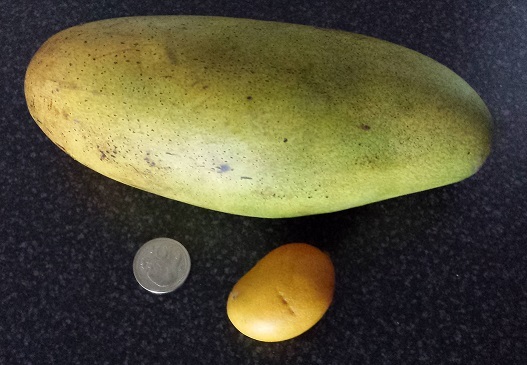 In the category of “odd stuff that I see in PNG”, I include a photo of this mini-mango. It was completely ripe despite only being a couple of centimetres across. I have included a regular mango and a 10 toea piece in the photo for reference. It tasted just fine so I ate that little mango. 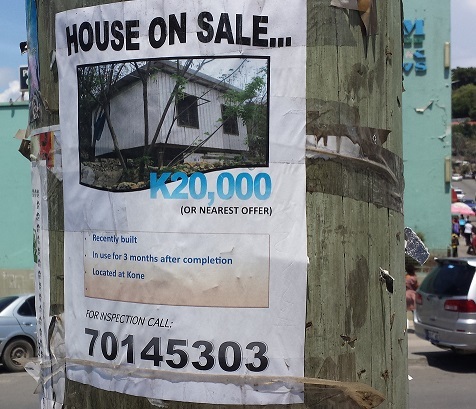 While it probably seems an awful lot to folks from PNG, I think $8,000 is pretty reasonable for a new house. 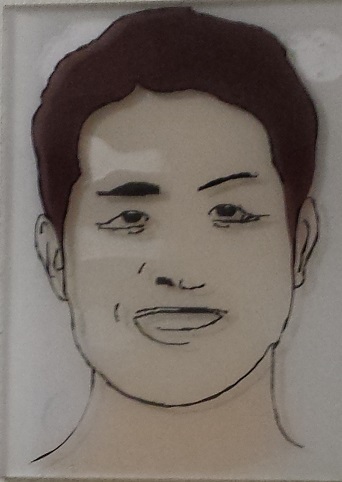 I went for the gender-ambiguous man and no-one complained so I supposed I guessed correctly. Knowing that I was heading to a Canadian winter, I made the most of my last weekend in PNG for the year. I spent as much time by the pool as I could. It was just as well because soon enough I was in the air again, destined for the true North. 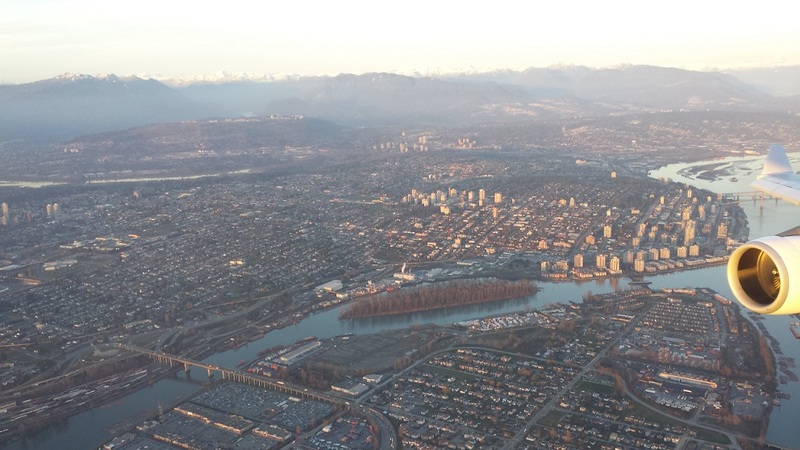 I could see the snow on the mountains as I flew in to a beautifully sunny Vancouver. The weather was sunny but very cold. 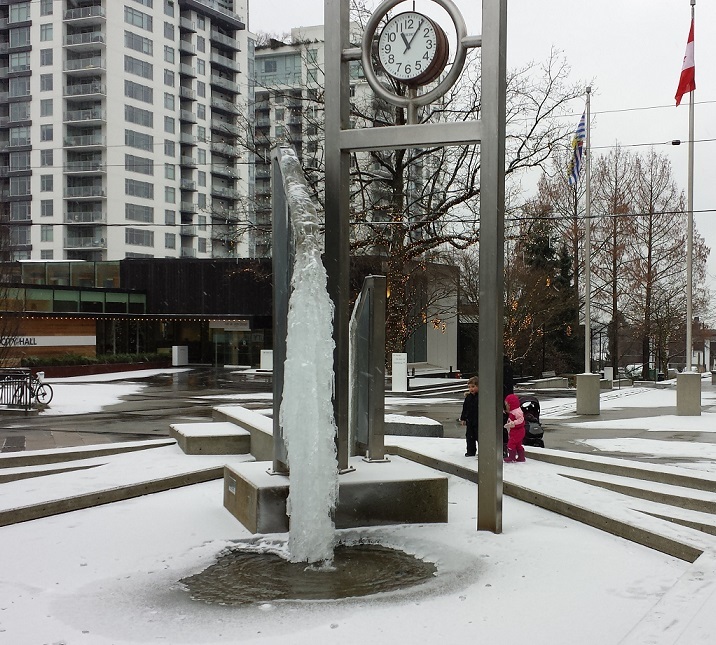 The lowest temperature I saw was minus eleven degrees Celsius. That is viciously cold for someone who has just arrived from the tropics. Even the locals were complaining. The photo above shoes frozen puddles that have been broken up by cars driving over them. Then the sun disappeared and the snow came. 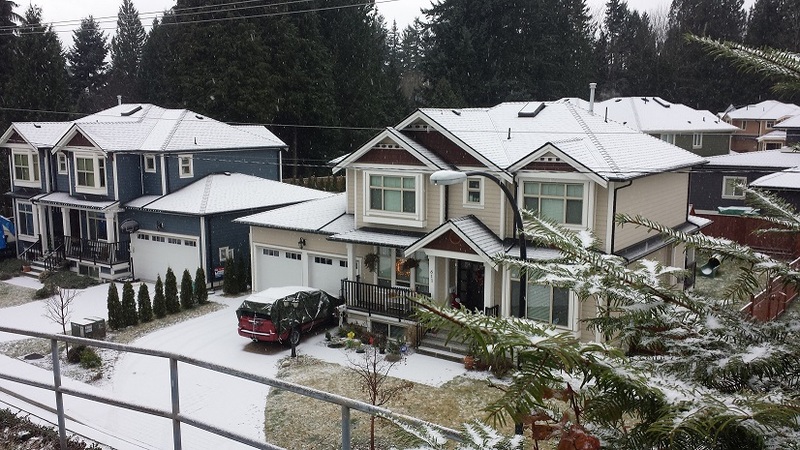 The last couple of days have seen enough snow falling for it to settle and remain overnight. 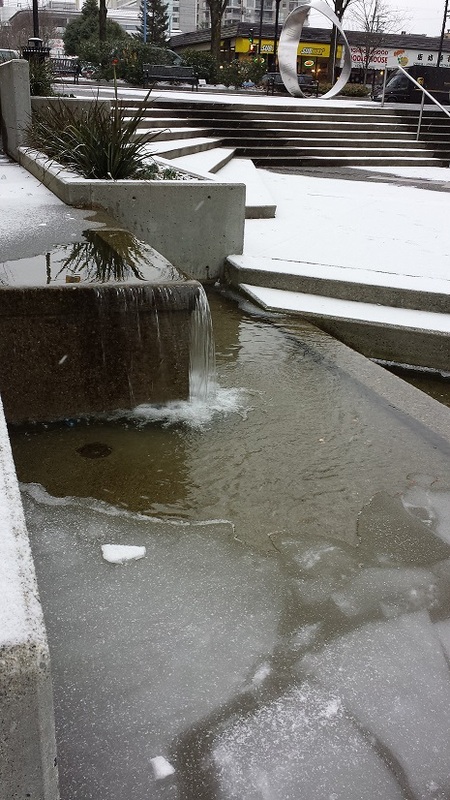 The fountains froze in place. I was in a state of shock. 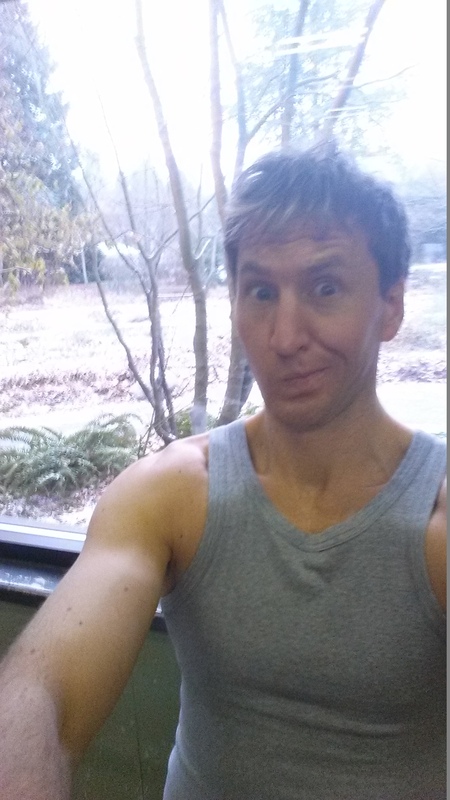 Especially when I went to the gym and was working out in a tank top while the snow fell from the sky outside. Even the skate punks stayed home. It’s hard to roll a skateboard through snow I guess. 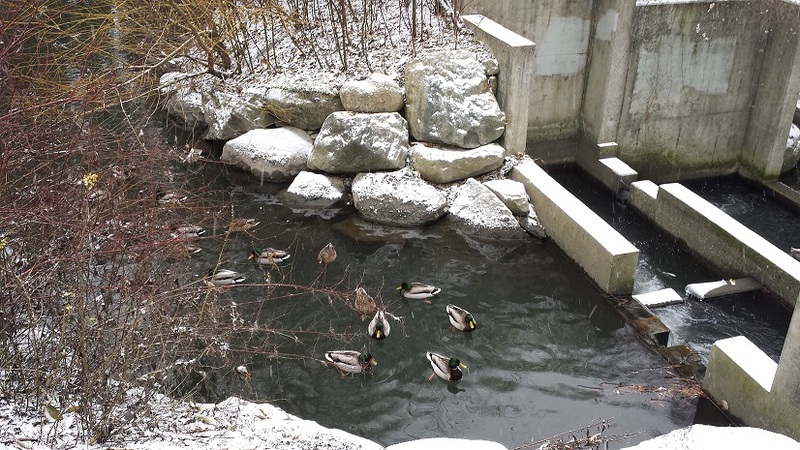 But these ducks didn’t seem to mind at all. 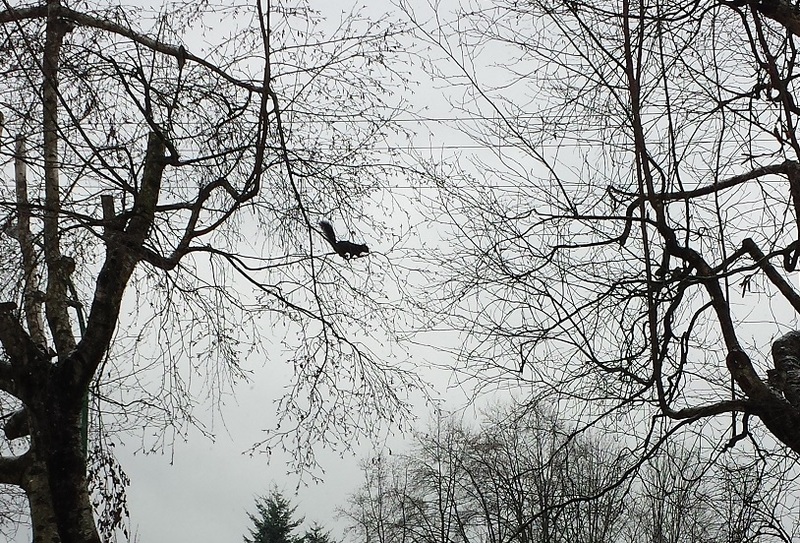 I spotted them while walking through a park in North Vancouver yesterday. I had no idea that they could jump so far. 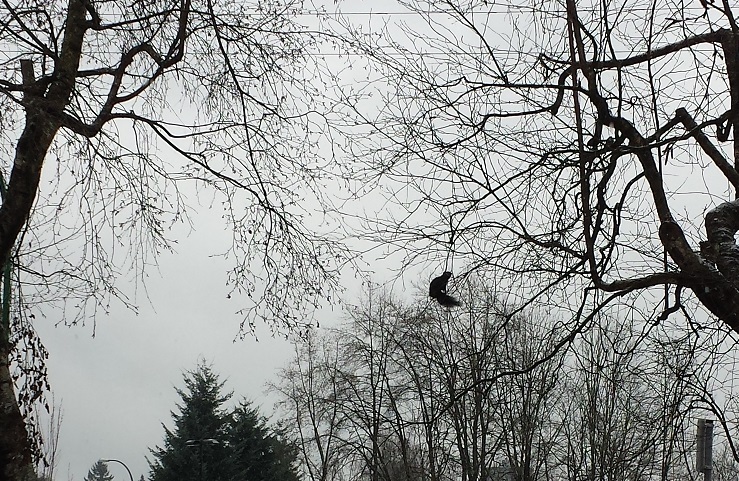 They are a bit like the flying foxes in Australia. For a bit of fun while I’m on vacation, I decided to be an extra in a film. 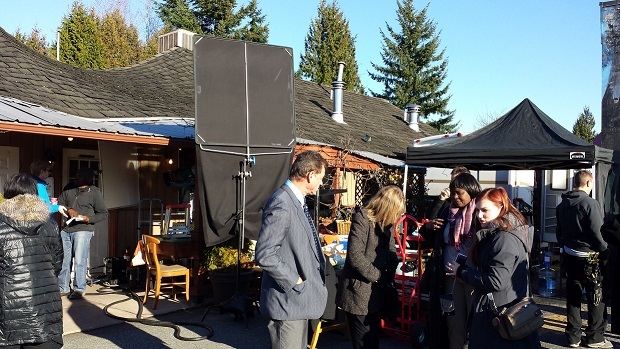 Vancouver is referred to as “Hollywood North” because there is a vibrant film industry here. Many films that are set in the USA are actually filmed in Vancouver, Canada. It’s interesting to see the movie-making process in action. The extras usually just appear in the background. So it involves lots of sitting around pretending to talk. They use all manner of lights and reflectors to create the right conditions for the shot that they need. I can’t talk about any of the details, but the film is a romantic comedy. It will probably come out next year and I can encourage people to keep an eye out for it. 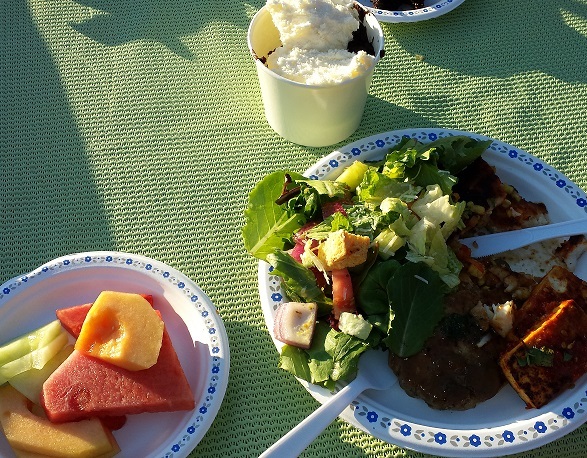 It’s customary to feed the extras, but the quality of the meal varies a lot. In this case, the food was great as we received the same film as the principle actors. It’s a fun thing to do – especially when the film comes out and one gets to see oneself in the background. I had to laugh at 7-11 not updating their signage. 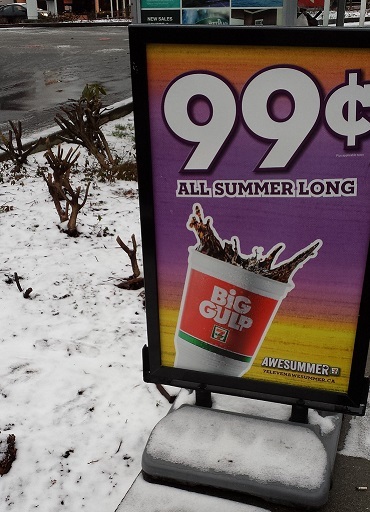 The 99 cent gulp is available all summer long – and apparently even when there is snow on the ground. 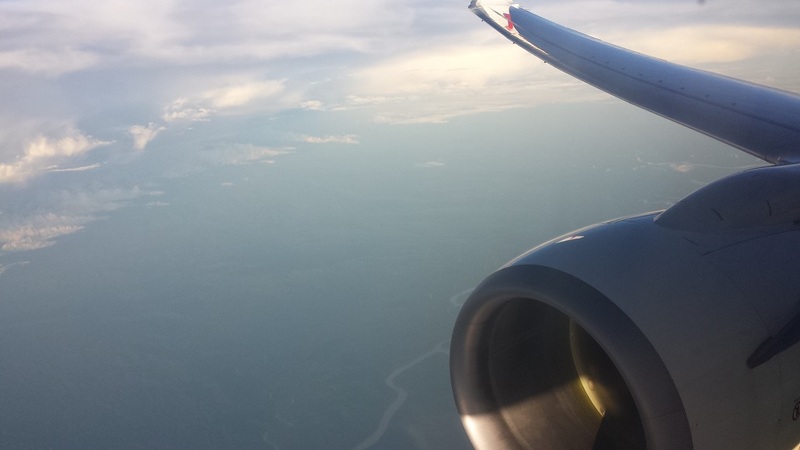 Fear not, I’ll be back with more adventures in PNG next year as I’ve agreed to stay on for 2014. I will be returning to Port Moresby in early January. If you haven’t already subscribed, you can receive e-mail notifications when a new post comes out by using the box at the top left of the screen.